She was hospitalised late last night. A statement regarding her health is likely to be issued later in the day, sources said. 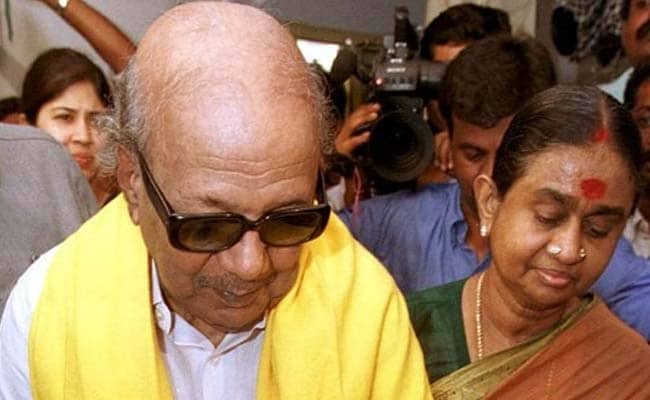 Dayalu Ammal, wife of late DMK patriarch M Karunanidhi, has been admitted to Apollo Hospital in Chennai, sources said. According to news agency PTI, sources said she was hospitalised late last night, but declined to comment on her health condition, saying a statement is likely to be issued later in the day. Dayalu Ammal is the mother of DMK chief MK Stalin.